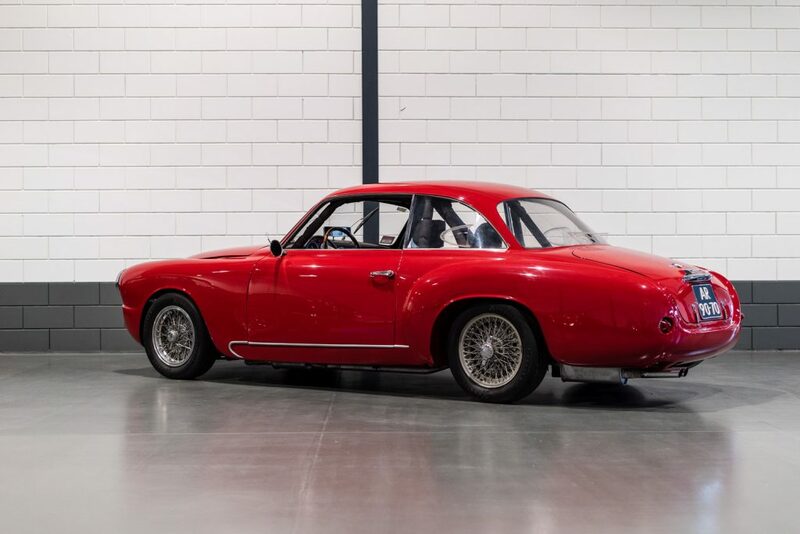 The Alfa Romeo 1900 CS is a one-of-a-kind piece. 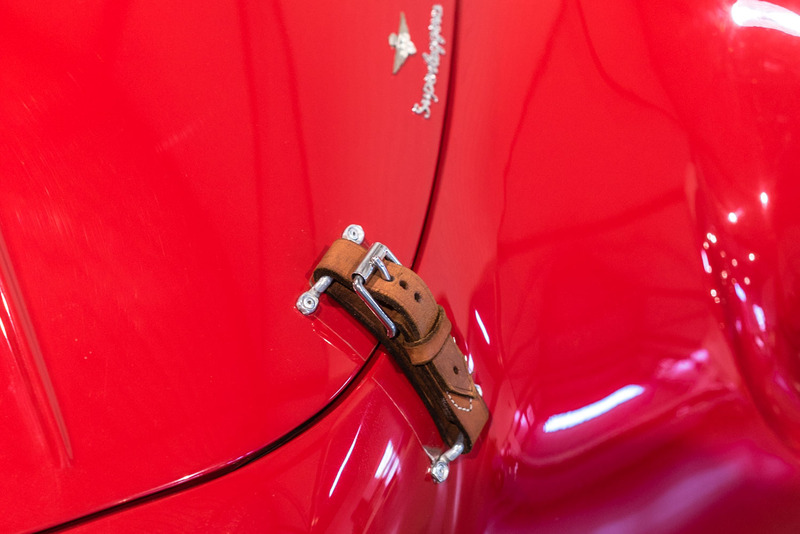 It is said to be Alfa Romeo’s first post-war design and made its debut at the 1950 London and Paris Auto Shows. 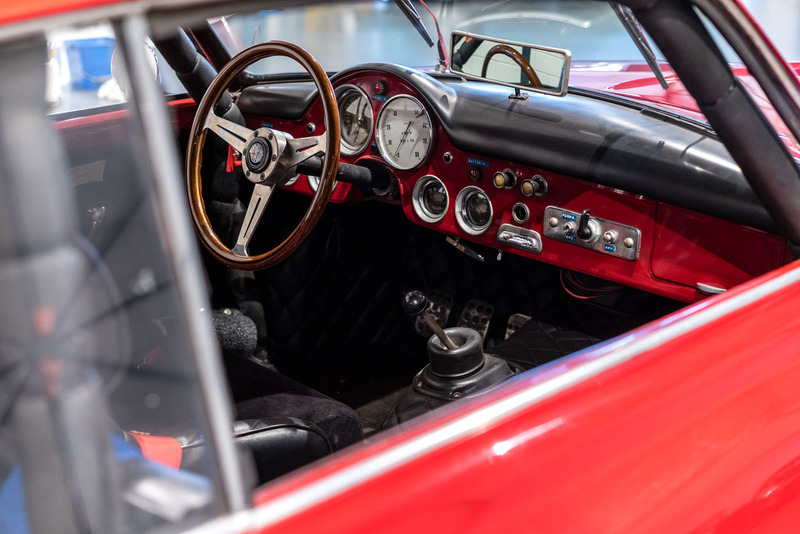 With a uni-body construction, a first for Alfa, as well as a new 1.9 liter dual overhead cam engine, it was considered a lightweight compact model. 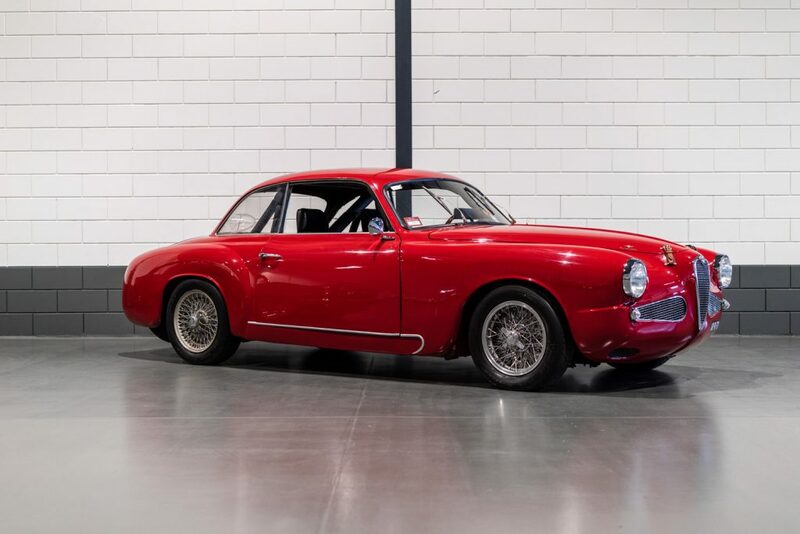 A few car designers were given the chance to redesign the Alfa Romeo 1900; as such Elio Zagato sourced a 1900C chassis and fitted what is said to be one of his finest designs. The new body featured a sculpted nose and bulged hood with twin air scoops. 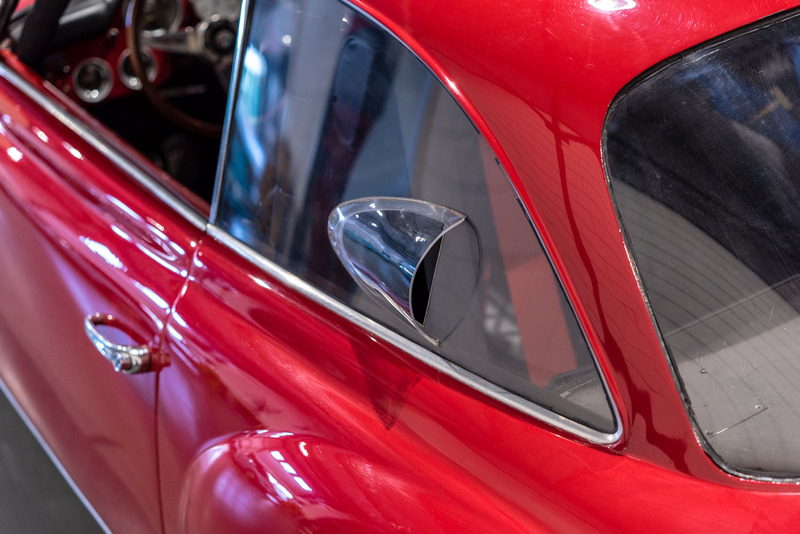 Manufactured on 22nd November 1955 and sold on the 21st March 1956 to G.A.P., France, this car is one of the last of the series 2 “five window” Touring bodied coupes made (480 produced). 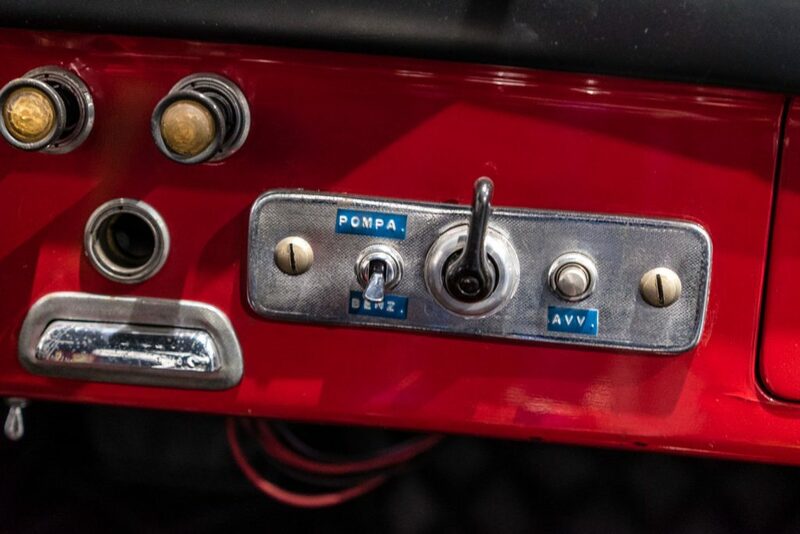 This car came factory fitted with the rare and desirable 5 speed floor shift, as most were column shifts. The car’s first owner was a Frenchman, Joelle Mounier, whose family was known in the motor-sporting industry (including Paris – Dakar). The motor sports fanatic opted for a floor-shift so the car was ready for road racing. Early on the car was converted to road racing specifications, as evidenced by FIA papers when the car was sold in 1986 to its second owner Jason Stewart Wright (IT). Jason was a member of the Alfa Romeo factory historic racing team, Scuderia del Portello. In 1990/91, the car was raced again by Scuderia del Portello with the famous racer Stanguellini/Fini at the wheel during the European Championship. In December 1998, Jason Stewart Wright sold the car to team mate Francesco Stanguellini (IT) who in turn sold the car in 1997 to his sometime navigator and fellow Portello del Scuderia racer, Dr. Vittorio Fini (IT). A sister car remains in the Stanguellini Museum in Modena. In 2011 the car made its way to Australia and was brought to The Netherlands in recent years. After a 12 month long interior and exterior refurbishment in 2011/2012, which included period matching racing seating, harnesses and extensive mechanical and body work this Alfa was relaunched for racing down under at the Sandown Park Raceway in Australia. The car has strongly benefitting from significant work on the engine, free flow competition manifold and high-profile camshafts which are well suited for fast road and/or track use with an estimated BHP of 135/145BHP and excellent torque. 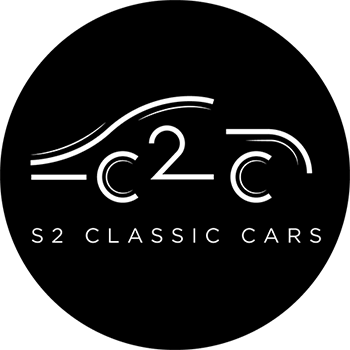 The car has a Dutch registration and is perfect to use for road use, track racing and ideally suited for events such as the Targa Florio, Mille Miglia, Nuvolari or the Revival at Goodwood. 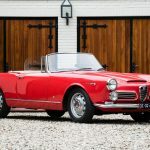 This Alfa Romeo has fabulous handling and is a joy to drive! The car comes complete with a large history file and current valid FIA Documents.